Resort Harbour Properties vacation rentals are in some of the most beautiful vacation rental communities in South Florida - Fort Myers. We offer beach rentals, gulf coast condo rentals, and rentals with amazing sunset and harbour views. 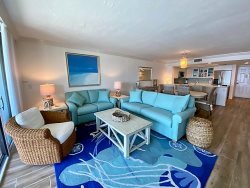 Discover our vacation rentals at the beautiful resort in South Florida, Sanibel Harbour Resort, Punta Rassa, and Wellington. Each community has its own unique amenities, views, and feel. Make sure to check out our current Fort Myers vacation packages and specials too.